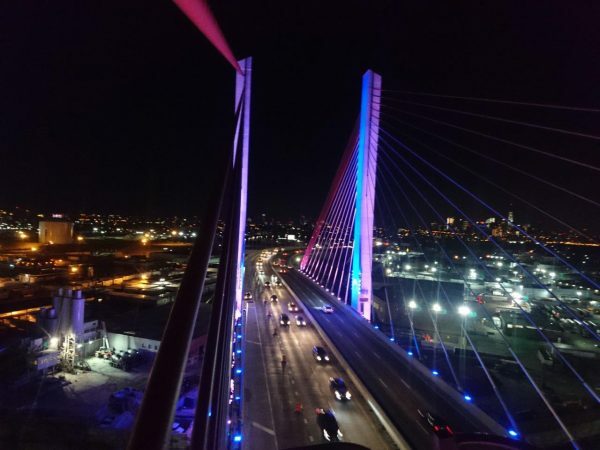 Kosciuszko Bridge – Cable Vibration Monitoring. The Kosciuszko Bridge is a bridge over Newtown Creek in New York City, connecting Greenpoint in Brooklyn to Maspeth in Queens. The current bridge on the site, a cable-stayed bridge, opened in April 2017 and carries three lanes in each direction. It is one of two planned cable-stayed bridges, with a parallel bridge opening in 2020. The crossing is part of the Brooklyn–Queens Expressway or BQE, which carries Interstate 278. Throughout its history, the Kosciusko Bridge has been the only bridge over Newtown Creek that is not a drawbridge. Civionic Engineering has been contracted to monitor a limited number of cables by using solar-powered low noise tri-axial wireless vibration sensors. All data is transferred wirelessly to our cloud server and stored for further analysis. 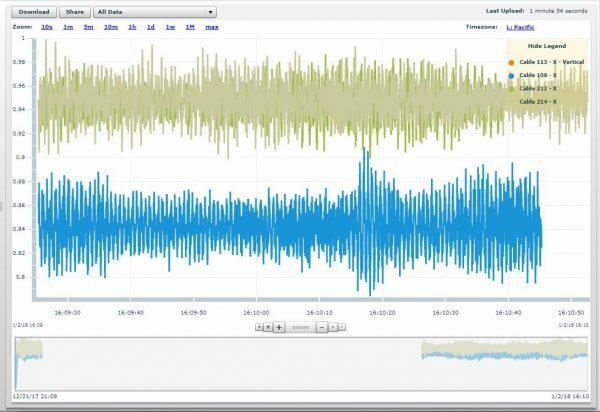 Vibration signatures and temperature data is collected 24 hours a day, 7 days a week. The sensors are wirelessly connected to a wireless data collector and transferred via cell phone network via the internet to the cloud server.